Draw Class Diagram for API design. 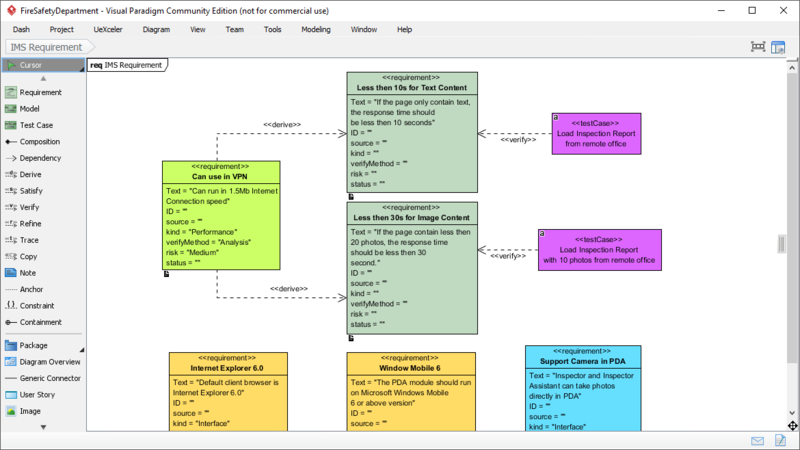 With no redundant widgets on the screen, you can design freely in a large diagram editor. UML software with ERD tool for database design. Boost efficiency with features like auto column, inline column editing, auto FK creation, etc. Model system behaviors with UML sequence diagram tool. With the use of the Resource Catalog diagram tool, a sequence diagram can be created quickly and effortlessly. 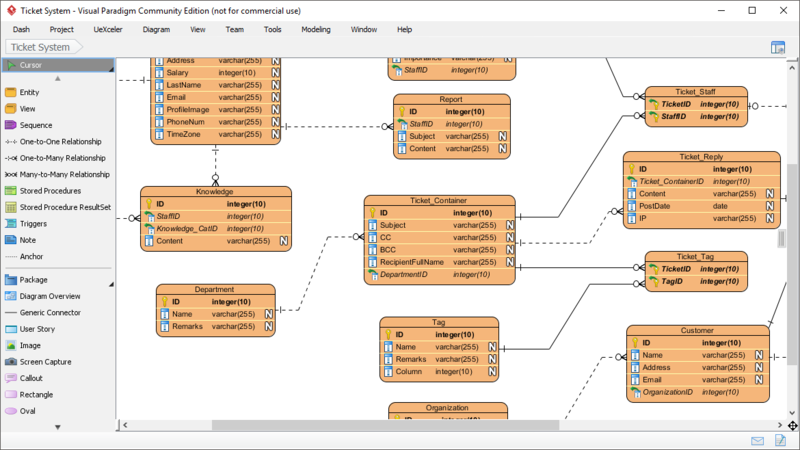 Visual Paradigm provides both UML tool and SysML tool - Draw SysML Requirement Diagram and other SysML diagram types like IBB, BDD and Parametric Diagram. 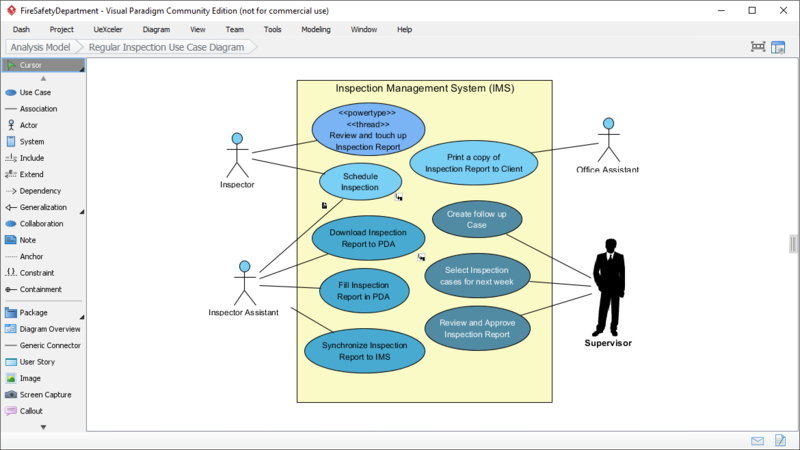 Model high level business stakeholders and business goals using the UML use case diagram tool. 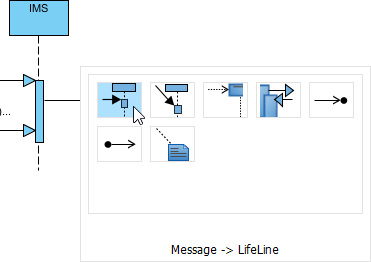 Use the UML diagram tool to draw sub-sequence diagram and sub-activity diagram. We care about the difference between a click and a drag. Just a mouse drag to draw new shape, and a few more drags for a complete design. Resource Catalog is simply the synonym of efficiency and quality. 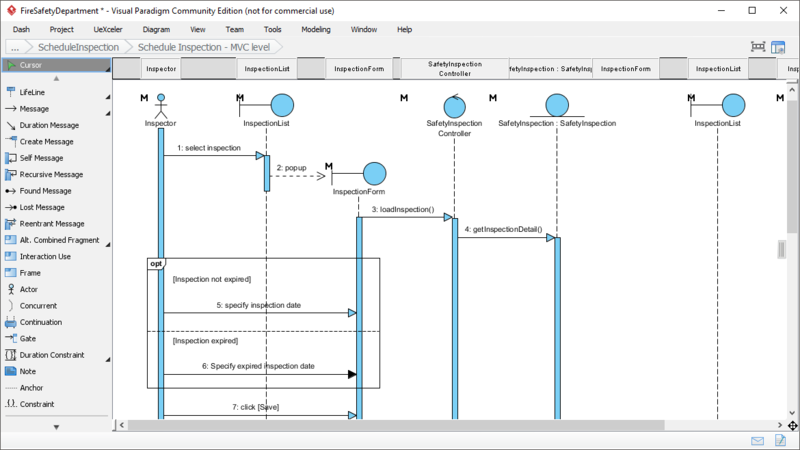 Visual Paradigm is a UML software designed with efficiency and quality in mind. Reuse elements in different models, ensure correctness of design with syntax checking, establish multiple level of abstraction with sub-diagrams, add reference to design artifacts, etc. 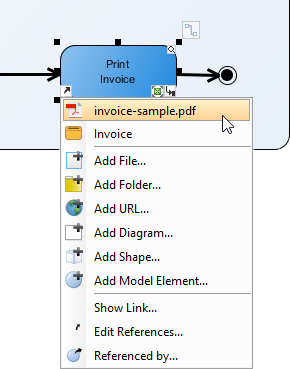 Visual Paradigm is a UML tool designed for great outcome. If you have ever used a real modeling software, you will appreciate how much it can help with your modeling work. 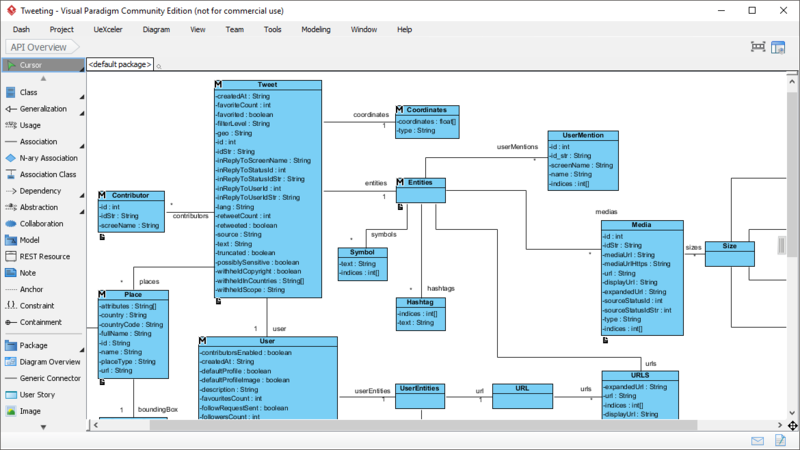 Visual Paradigm is a full-featured UML software that allows you to establish linkages among UML model elements and with external resources like webpages and physical file.